Before you begin, let’s look at some important issues that will provide you with the answers and the steps that will make your journey a pleasant and rewarding experience. Keep in mind, home buyers – you – need to search for a realtor the same way that home sellers do. You see, there are two “sides” to every sale. The seller’s side is represented by the listing agent. The buyer’s side is represented by the selling agent. The selling agent also is referred to as the buyer’s agent. Usually, real estate commissions are paid by the seller. For this reason, the selling agent, although representing the buyer, has certain duties to the seller. If you, as the homebuyer, want to have a real estate agent represent only your interests, you will need to hire and pay commission to your own real estate agent. These real estate agents are generally referred to as buyer’s agents.If you call on a single classified advertisement in a newspaper, an ad in a home selling magazines or a listing on the Internet, you most likely are calling the listing agent. With this kind of mortgage, the interest rate you pay rises and falls along with other rates charged throughout the economy. Therefore, you, the borrower, assume the risk of rising rates, and you stand to benefit should rates fall.An essential question to ask about an ARM is whether there are limits on how much your rate can be raised, both at each review and over the whole term of the loan. Without limits, known as “caps,” you’ll have no way to predict how much your rate (and thus your monthly payments) might change. FRM and ARM represent the primary options available to homebuyers today. The convertible mortgage represents something of a compromise between the two. It is designed for those who want the advantages of the ARM, but also want to limit the risk of rising rates.Under this arrangement, the buyer starts out with an ARM, but has the option of converting to an FRM at specified points during the loan term. You may want to ask the lender these questions: When can you convert? How often can you consider the option? Are there any up-front fees involved? Will you have to pay more for an ARM with the conversion feature than for an ARM without it? Are there additional fees due if and when you decide to convert? Find out the lender’s conversion rate. Graduated Payment Mortgage (GPM)A fixed-rate GPM starts out with low payments, usually below that of a fixed-rate and possibly that of an ARM, but rise gradually (usually over five to ten years), then level off for the remaining years of the loan. Is the home in an area that floods when it rains. How fast does the water drain from the streets and yard? Slope and the soil’s ability to absorb water will determine where and how fast water drains away from the house. You can check out local flood information through Stewart’s Flood Information Division to find out if the house is in a flood plain. You’ve finally found the home of your dreams. You’re ready to put your money where your mouth is – but wait – before you sign on the dotted line, before you spend the money your lender has provided and before you start thinking about interior and exterior design, find out a few things first. Those things may help you negotiate a better, lower price than what the owner is asking. As with practically everything in real estate, there are exceptions to this rule, too. During a hot market, there may be multiple offers on the property that interests you. A large deposit may impress a seller enough so they will accept your offer instead of someone else’s, even when your unknown competitor is offering the same price or slightly higher. You’re almost at the end of your journey. Soon, your dream will be a reality and you can begin living in the home of your choice. And, now that you and your seller have come to a mutual agreement, you are ready to sign the contract and put down your earnest money (money indicating the seriousness of your offer). There are all kinds of people and services involved behind the scenes to make this happen before you put the key in the lock. First, you’ll want to close the deal. The road to closing is short, with only six major steps. These steps generally are handled at your title company office. 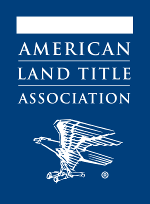 Participants at this meeting are you, the buyer, the seller, your attorneys – if you have them, your real estate agent, escrow agents and anyone else who may have an interest in the transfer of title. And of course, the final step – moving in! Congratulations – you have now accomplished the American dream of owning your own home! Live long and prosper!